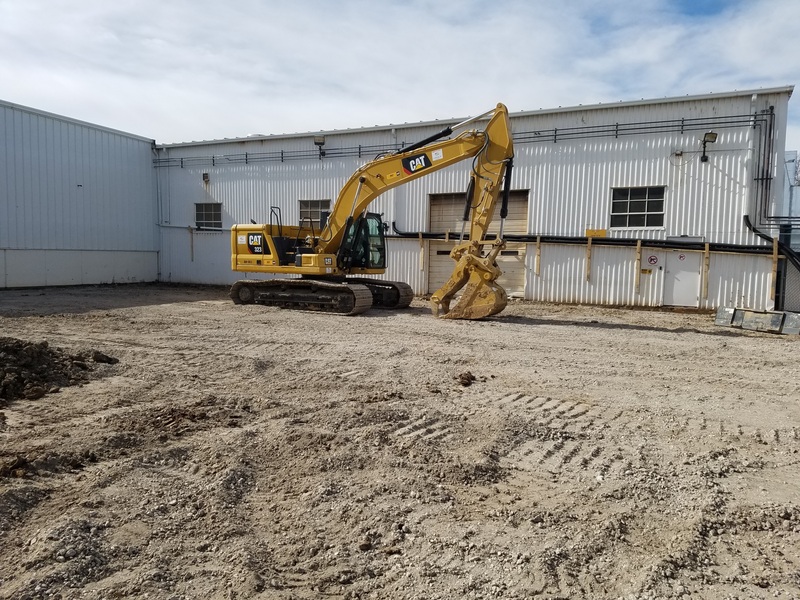 Our team is hard at work at ICM in Colwich, with around 250 people on site working to have the plant operational by mid-summer. 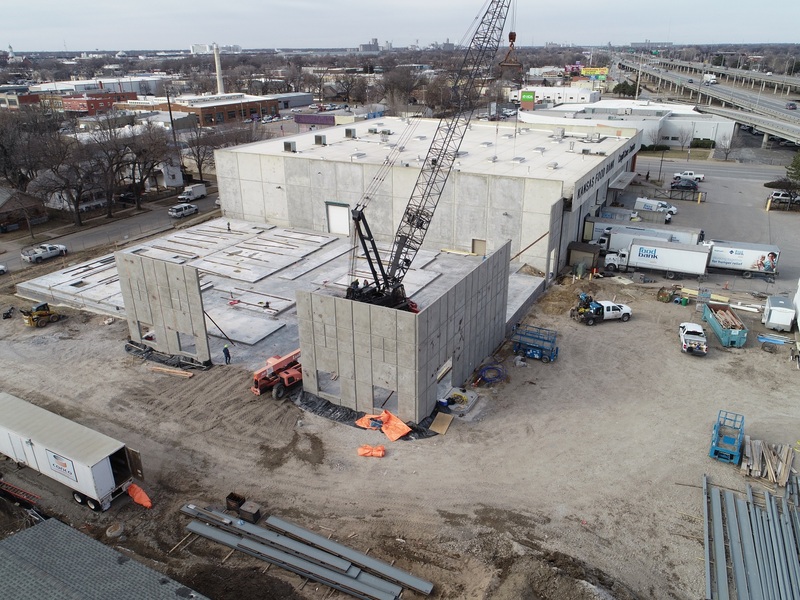 Production has recently begun on the lower level of the Wood Chip Building, a large facility with 30 inch thick walls on two sides and a wall height of 30 feet in several areas. 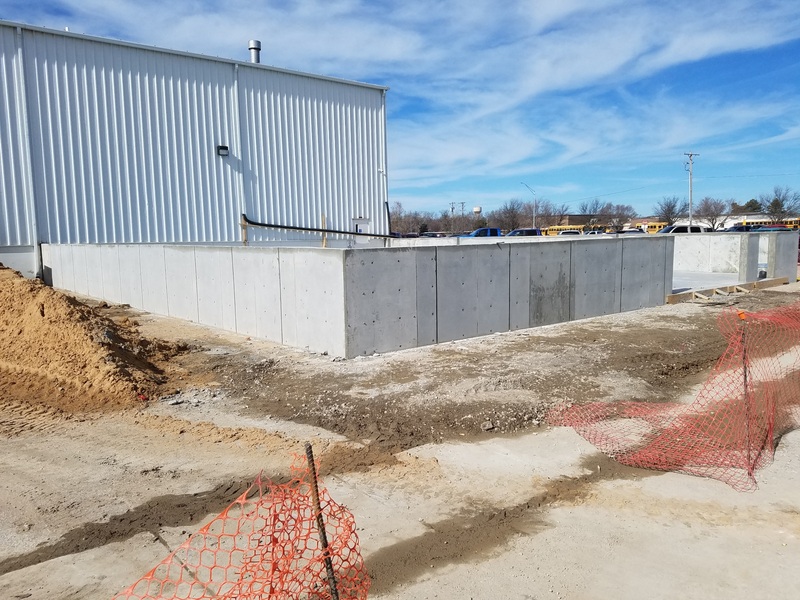 We will also be starting the scrubber, acid containment and gasifier foundations in the next month. We will continue to keep you updated as we work toward completion! 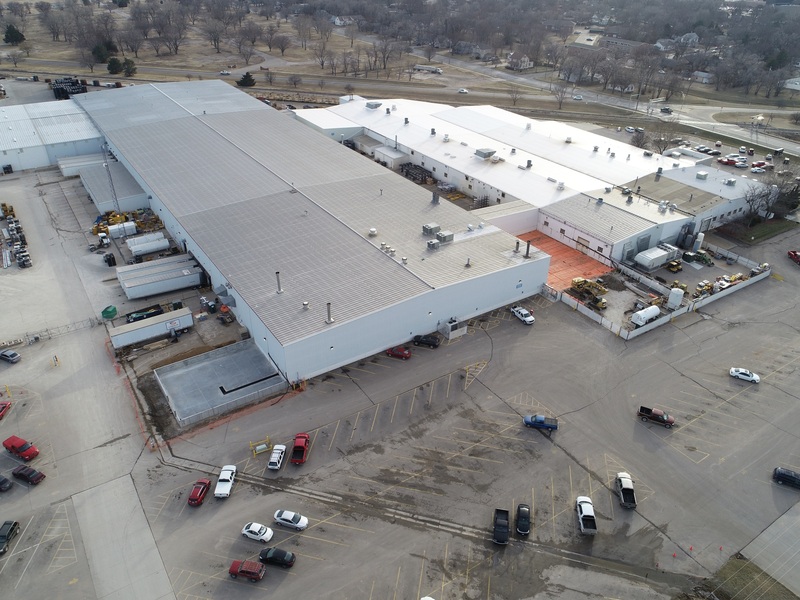 It’s been a busy few months since we last updated you on our work at Viega in McPherson. 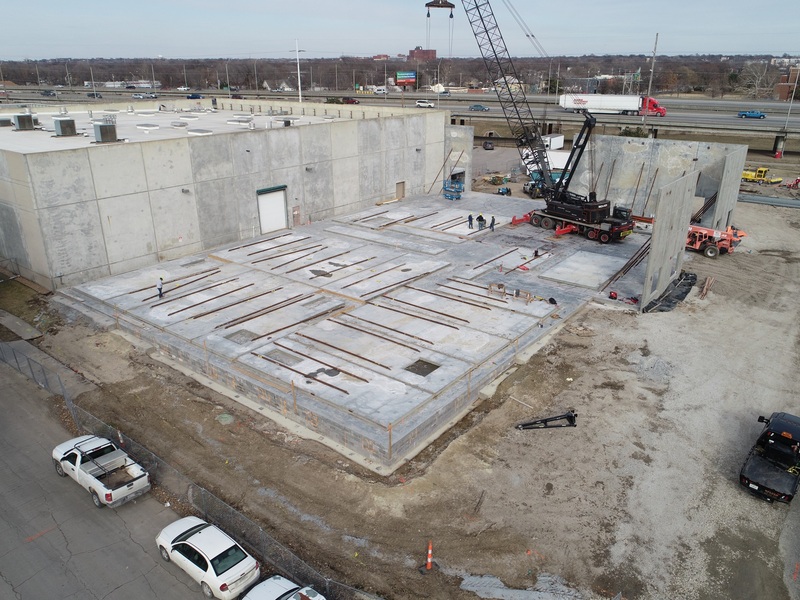 Crews are currently working on the floors and office area and are starting the site paving process for the ProPress II building. Work is progressing on the Tool Room and both it and the ProPress building will be complete by mid summer. As you can see in the photos below our crews recently completed pile foundations for the Logistics building. 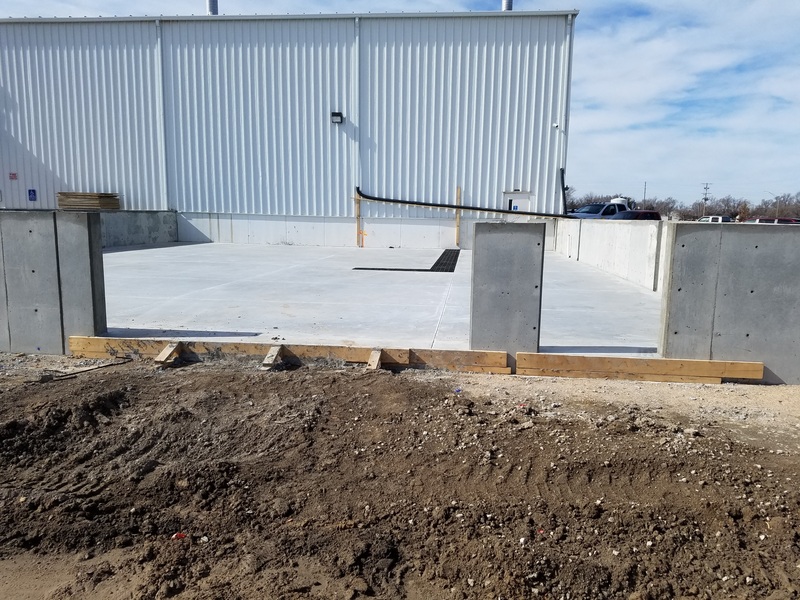 We’re also working on a loading dock expansion and office addition. We appreciate all the hard work our team is putting in and look forward to sharing more photos as more of the complex is completed this summer! 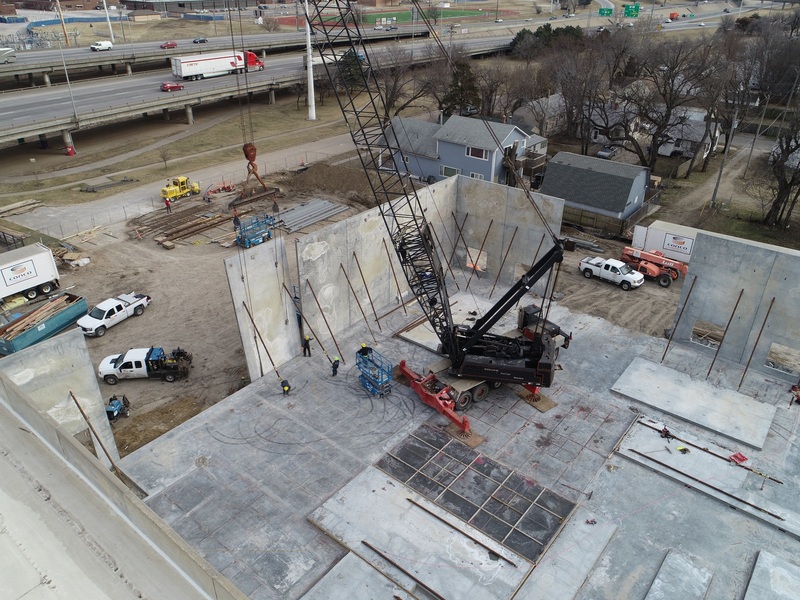 Our crews worked through the frigid temperatures this week to set the tilt-up panels for the Kansas Food Bank project! The project is challenging due to the integration of the structural steel and the tilt-up panels. 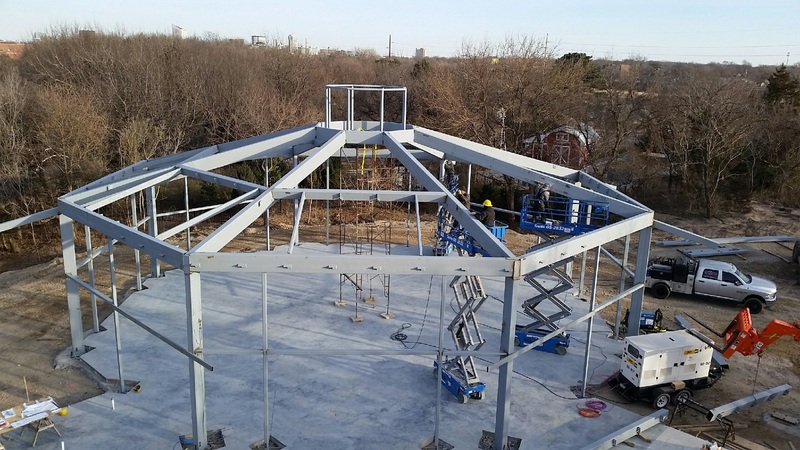 The steel and panels must be erected in a specific sequence so that the structural integrity is protected. 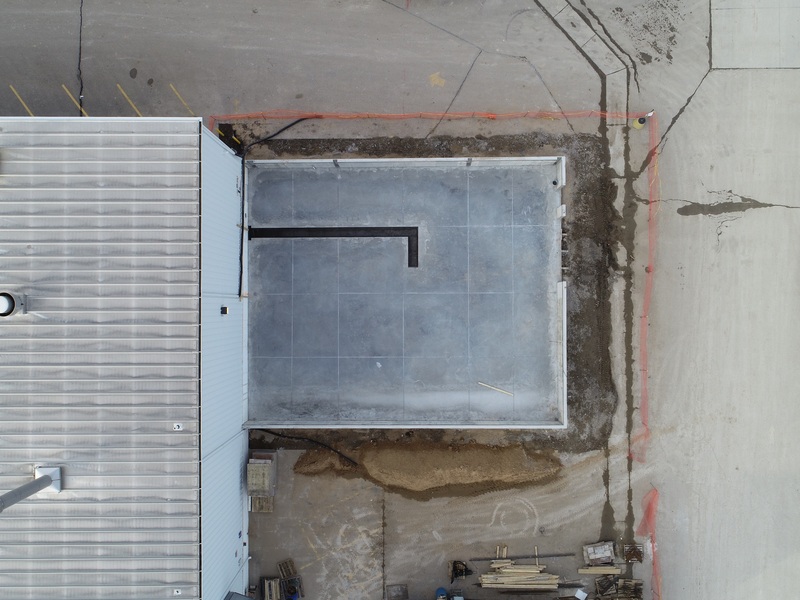 On Tuesday our drone operator was able to catch our teams in action as they placed several of the tilt-up panels. 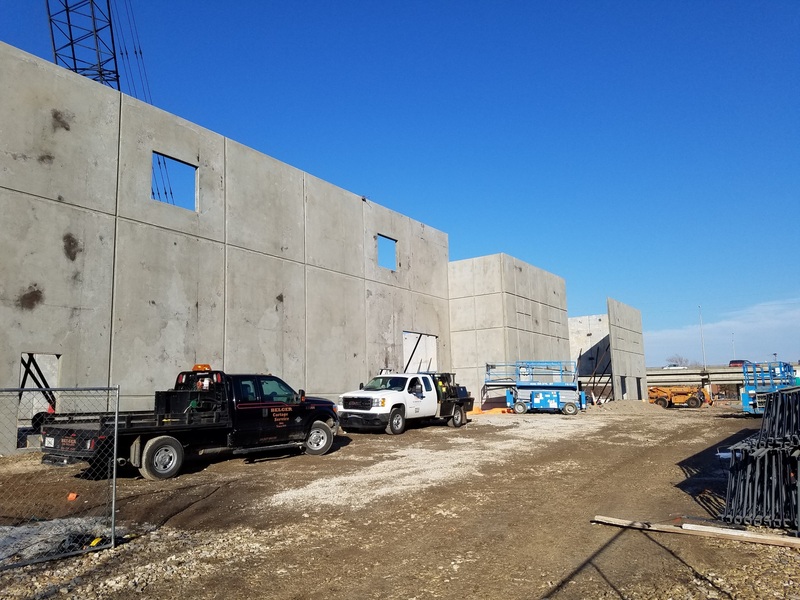 We are excited to see this project progress! 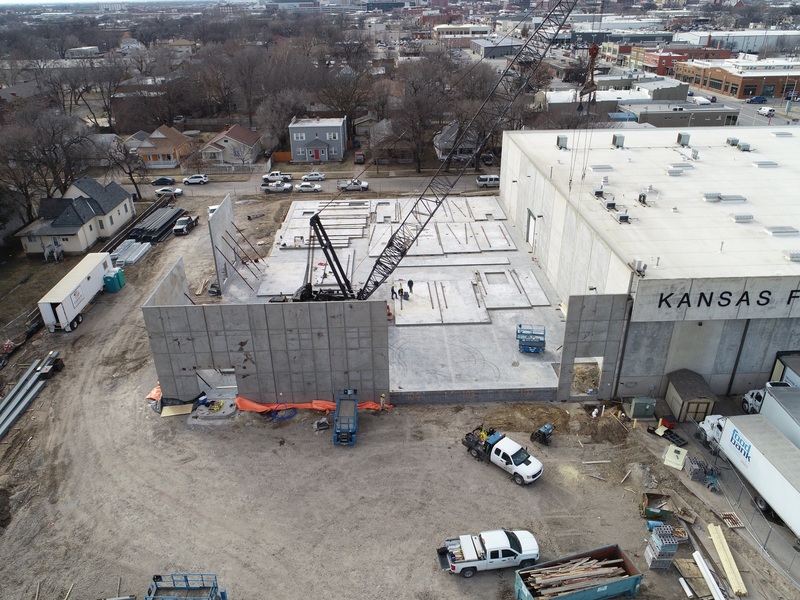 The finished building will provide much needed space for the Kansas Food Bank as it continues its mission to provide food for those in need! It’s been a busy month so far at our Viega project in McPherson! It’s not every day we have a 900 ton crane on site like we did last week to set all of the rooftop units on the ProPress II building. The crane was so large it took 26 truckloads to haul the parts in to assemble it and once complete it could be seen from 5 miles away! Our crews are making great progress and should have the building enclosed by next week. We’ve been fortunate to have good December weather that helped us in completing Viega Avenue, the main entrance to the Viega complex. 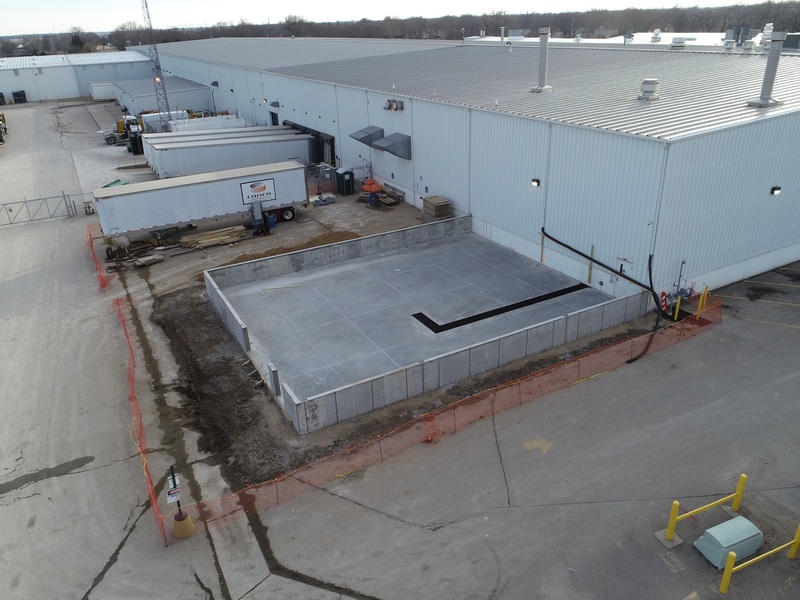 We are looking forward to planning an additional logistics building and will keep you updated on our progress! 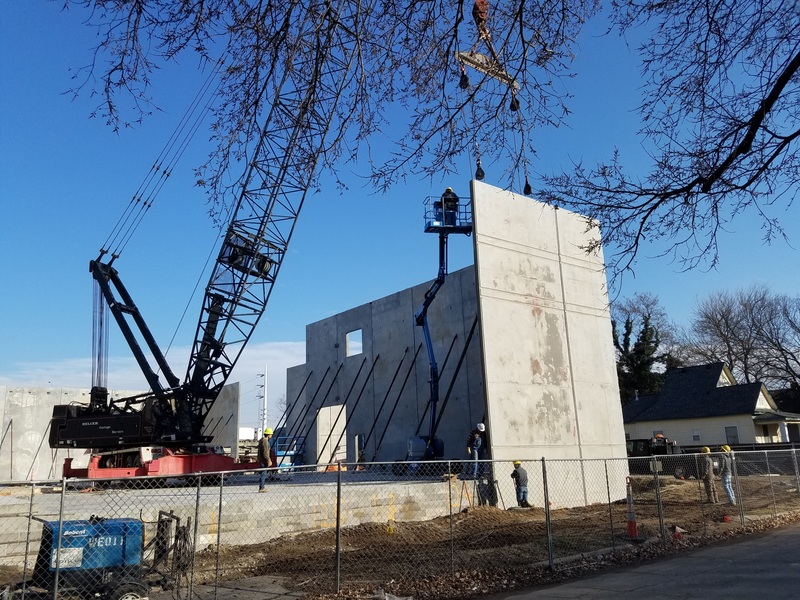 Our crews started work on the Chapel at Central Community Church last week! This project is the first phase of the future Central Landing community planned for the church. 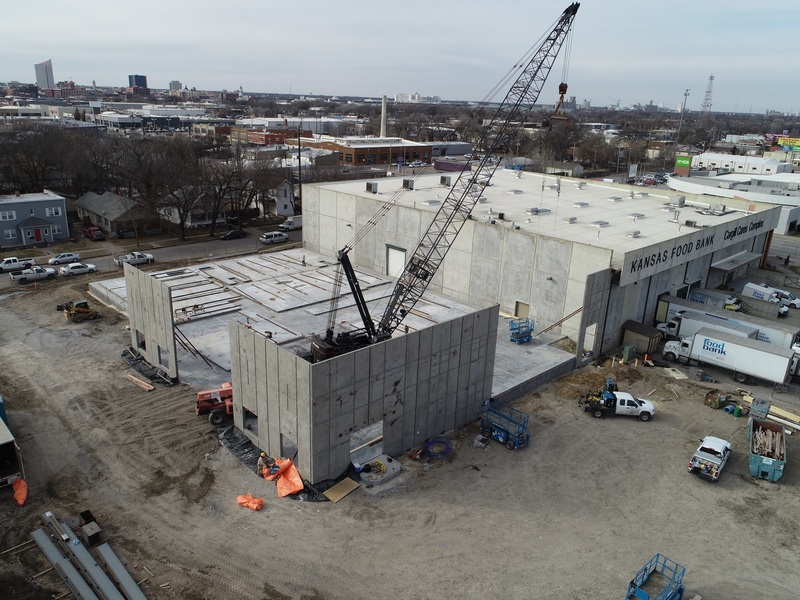 Conco has worked with SPT Architecture and the church for many months to plan and design this project and everyone is excited to see demolition begin and construction to follow. By this time next year the church will have a new chapel venue to celebrate weddings and special events! We are thrilled to share we recently celebrated the groundbreaking for the Botanica Carousel project! Many of you may remember the historic carousel that used to be a fan favorite at Joyland. 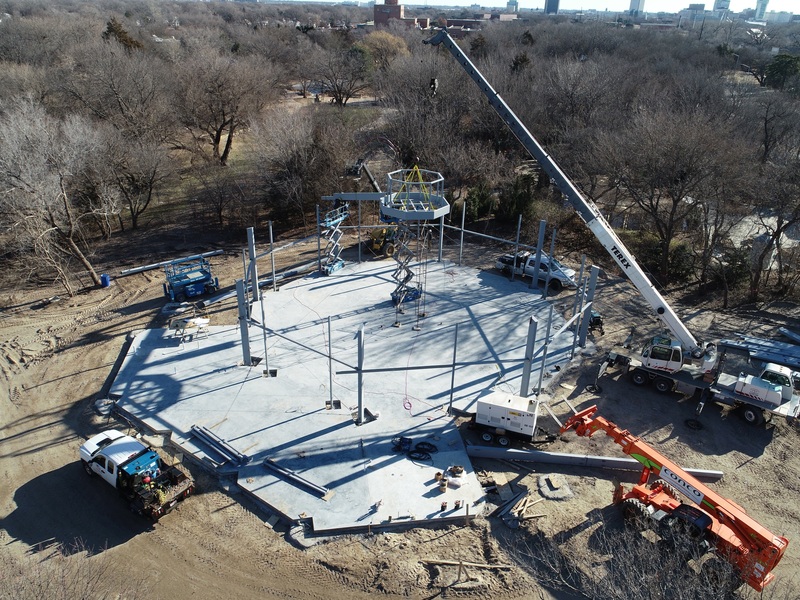 Its owner generously donated the merry-go-round, which is one of only five remaining Allan Herschell Carousels in the world, and it will be housed in a pavilion within the Botanica grounds. We will keep you updated as work progresses on this special project!